A sweet fable as well as a playful picture book for pre- and beginning readers, Iggy Biggy Buggy™:One Sunny Day by new children’s author and illustrator Stayci J. Mallozzi is a winning tale about a charismatic caterpillar who learns that missing school isn’t all it’s cracked up to be and that learning alongside his classmate friends is not to be missed. One sunny day, Iggy Biggy Buggy stays home from school. Instead of heading to class with the rest of his friends, he rides his new blue bike, jumps on his trampoline, and writes his name in the sand. It seems like a lot of fun; that is, until Iggy Biggy Buggy realizes he’s all alone and he comes to understand there’s nothing better than having a fun-filled adventurous day counting, reading, writing, and being with his friends in school. Click here for three Iggy Biggy word search puzzles. 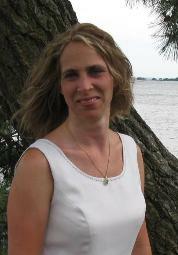 Stayci J. Mallozzi was involved in the corporate world for well over fifteen years and now embraces life with her husband and two children in Norwalk, Connecticut. Seeing life through her children’s eyes, she was inspired to tell her children a story to encourage them to see a different perspective when they did not want to go to school. 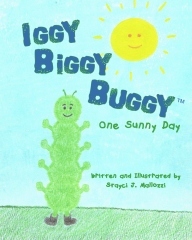 Iggy Biggy Buggy™: One Sunny Day is her first children’s book in an adventurous series to follow. 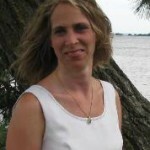 This entry was posted on Tuesday, November 1st, 2011 and is filed under *ISSUES, November 2011. You can follow any responses to this entry through the RSS 2.0 feed. Both comments and pings are currently closed.